The estate of Schloss Gobelsburg is nestled in the middle of the quite village of the same name in Austria’s Kamptal valley. A grand mansion of pre-World War proportions, its distinctive pale-yellow paint and Renaissance architectural style make for a striking façade. 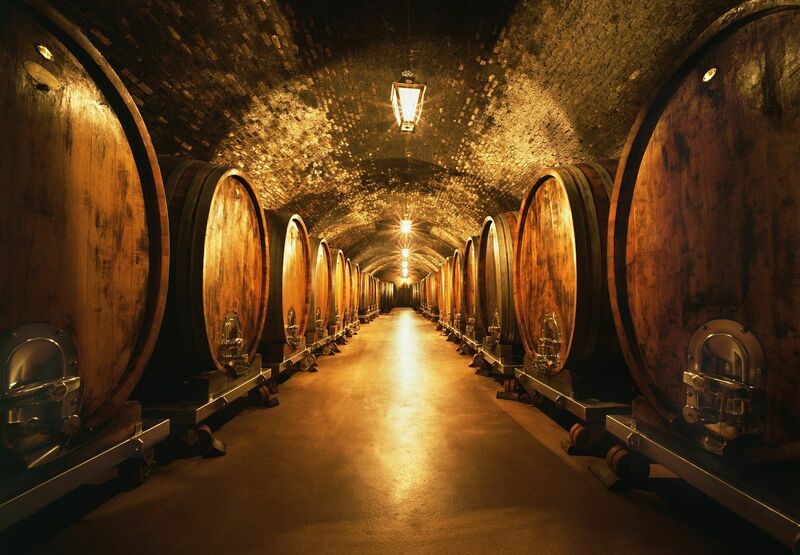 There are not many of these structures still standing and maintained in 21st century Austria, yet Gobelsburg’s most unique treasures are not on the outside but deep within its cellars. The history of the estate dates back to the late 11th century. As a constellation of dukes and earls vied for power and influence in the Holy Roman Empire, the castle of Gobelsburg changed hands a number of time as loyalties were formed and frayed. In the 12th century the ascendant Hapsburg added Gobelsburg to its vast territorial possessions. As a relative peace settled on the area, the Hapsburg’s penchant for cultural investment began to leave a mark on the kingdom. The castle of Gobelsburg was torn down and replaced with the Renaissance-style quadrilateral three-story mansion that stands today. 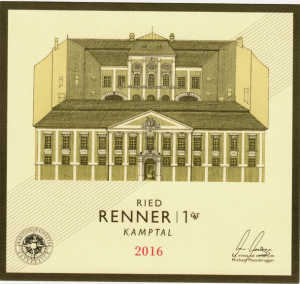 Though still nominally “owned” by the royal family, the Stift Zwettl, a large Cistercian monastery nearby administered the day-to-day operations of the vineyards and winemaking. The Cistercians were faithful stewards of the estate and vineyards for many years shepherding the estate through two world wars and the upheaval that resulted. The wines of the time could best be described as consistent but not exceptional. This changed in 1996 with the arrival of Michael Moosbrugger. Willi Bründlmayer is the owner of the venerable Weingut Bründlmayer in the Kamptal village of Langenlois. As Austrian wine came out of the scandal of the 1980’s Willi became a standard-bearer for the new age of quality-focused, pure wines of terroir that would mark a new era in Austrian wine. Michael Moosbrugger, a few years Willi’s junior, had just completed an apprenticeship at Fritz Salomon in the Kremstal and the iconic Jamek in the Wachau. Michael and Willi were old friends and Willi could see that Michael had a bright future ahead of him. 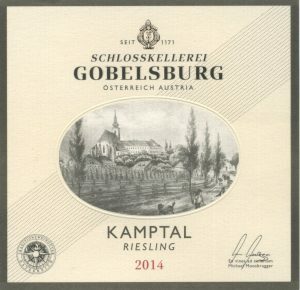 Both men had an eye on Schloss Gobelsburg and when word went around the Kamptal region that Gobelburg was looking to re-invigorate their wine production, Willi advocated for Michael to take over the operation. 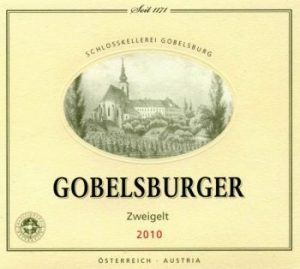 Willi saw that Michael could be a world-class winemaker especially given the raw materials of Schloss Gobelsburg’s famed vineyard holdings. In 1996 Michael took on a two-generation lease of Schloss Gobelsburg, leaving an option for this heir to take the reins after him. Though still owned by the Cistercian Order, all day-to-day winemaking and viticulture is handled by Michael Moosbrugger and his team. 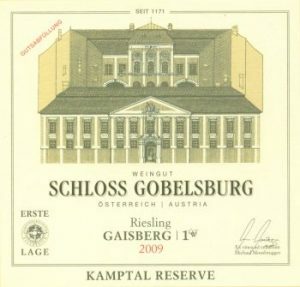 Michael’s dedication and talent payed off in the first vintages under his control and word started going around that something special was happening at Schloss Gobelsburg. Michael would be the first to tell you that great wine is not made only by the winemaker. It is a complex interaction between the deft winemaker, attentive viticulture, and exceptional terroir. Lucky for Schloss Gobelsburg, they have some of the greatest holdings in Austria. 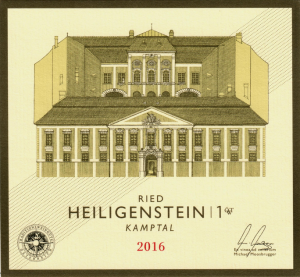 Their Erste Lage [Premier Cru] single-parcel wines comes from two famed hillsides: the Heiligenstein and the Gaisberg. 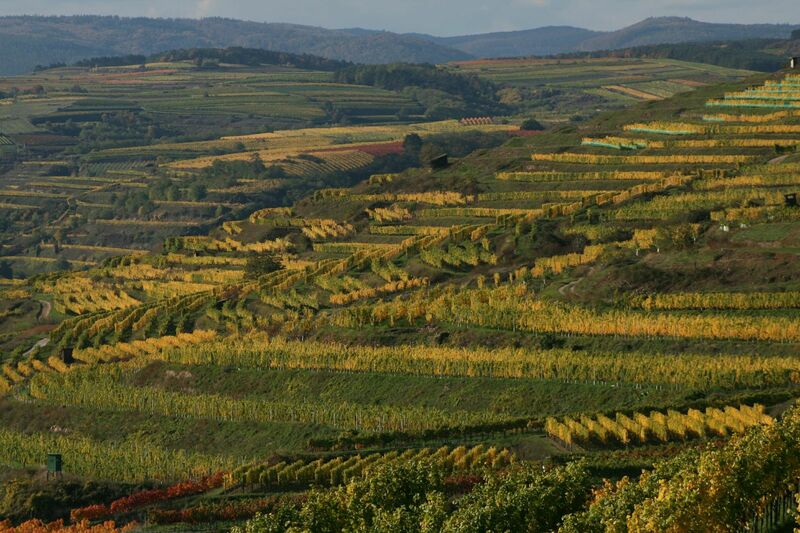 Both of these hillsides are planted to Riesling and the soils are primary rock, though Heiligenstein also features Permian desert sandstone which puzzles geologist to this day. 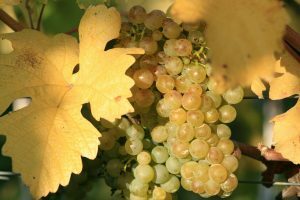 Riesling needs the struggle of these harsher soils in order to concentrate its flavors and develop depth. 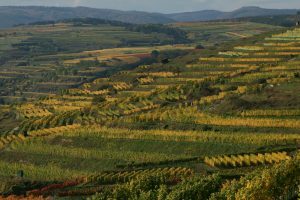 As the hill slopes down to the valley the soils change to a mixture of löss and loam, two mineral-rich soils with clay and silt composites. Grüner Veltliner is planted here as it needs the extra support and water-retention from these types of soil. The lower portions of Heiligenstein and Giasberg are planted to GV and are called Lamm and Renner respectively. Both sites are Erste Lage and produce some of the most compelling Grüner Veltliner in the world. Michael Moosbrugger is an avid student both of the estate and its 600 year history. Of unique interest to Moosbrugger is the winemaking techniques of the past. Since 2001 Moosbrugger has been selecting casks to go into his “Tradition” cuvee. With this cuvee Moosbrugger attempts to recreate wine as it would have been made 200 years ago. 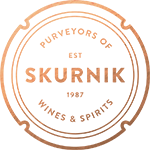 Contemporary wine-makers often attempt to do as little as possible to disturb the wine during vinification believing that great wine is made in the vineyard. This is the orthodox of our era. In contrast 200 years ago the conventional wisdom saw the winemaker as the “teacher” of the final wine. A winemaker would select particularly promising casks and periodically rack the wine from one barrel to another, exposing it to oxygen in the process. This was called die Schulung [the educating] of the wine. The end-product is a richer, denser, less fruit-driven version of the wine. 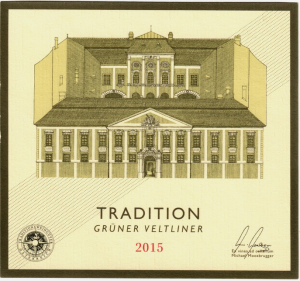 Though most other wines at Gobelsburg receive a modern treatment in either oak or stainless steel, the “Tradition” cuvee attempts to recreate the “Schulung” of 200 years ago. Each vintage, Moosbrugger makes a selection of either Grüner Veltliner or Riesling to receive the “schooling.” The grapes are pressed with a basket press and fermented in double foudre made from Manhartsberg oak. After the fermentation the wine are racked every 3 to 4 months to let the wines “breathe.” This is done for over two years until the wine is ready to be bottled. These bottles are essentially time-machines, transporting the taster to another era far from our own. The Tradition Cuvée is a wine that should not be missed! 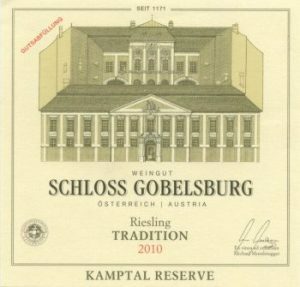 In a way the Tradition Cuvee is the quintessential wine for this era of Gobelsburg’s history. 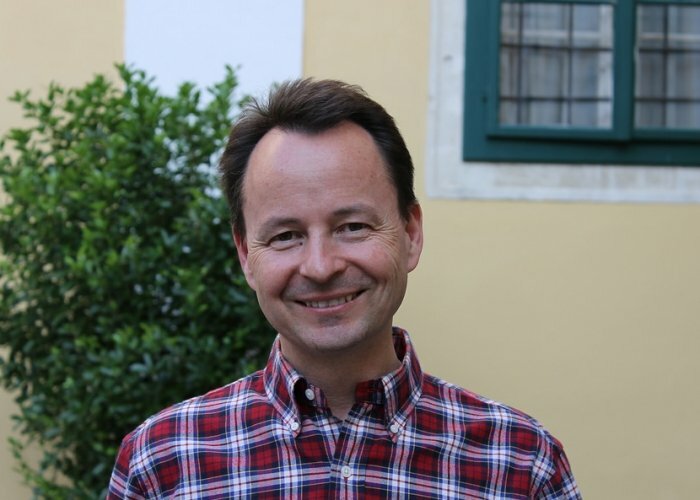 Under the guidance of Michael Moosbrugger, Schloss Gobelsburg has achieved a new level of quality and distinction. Michael is always innovating and testing new ideas yet these novel moves are always informed by the long history and traditions of previous wine-making generations at the Schloss Gobelsburg. This synthesis between old and new, tradition and innovation is what makes Schloss Gobelsburg one of the most vital estates in Austria. “Lamm as a rule is buckwheat-y, rusky, savory but not thick, like a vegetable-veal stock with barley, yet oddly also like lamb itself. (“Lamm” doesn’t mean lamb, but is rather a dialect word for “loam.”) It is a great wine though virtually without fruit per se. Its poise of gloss and power, intensity and outline, mass and transparency are emblems of the paradox without which no wine is truly great. “When I tasted it I almost violently did not want to write a tasting note. It is a perfect vintage of this great, great Cru, and that’s all that needs to be said.